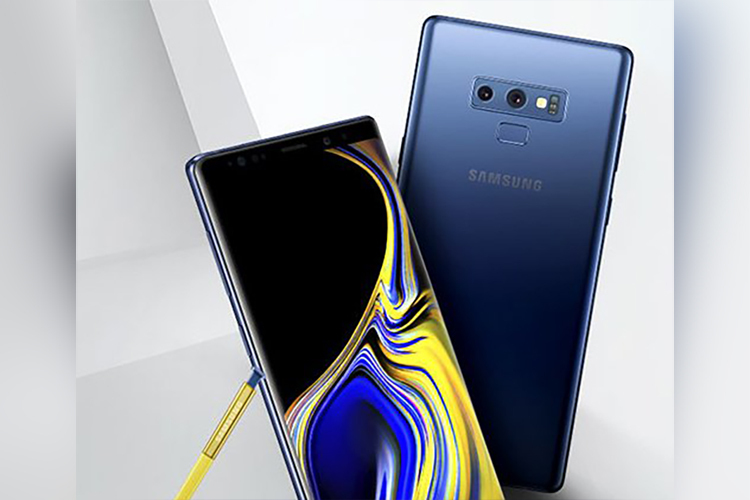 Samsung has already confirmed that it will be launching its next major flagship – the Galaxy Note 9 – in the second week of August. As usual, the rumors about the flagship have begun to pour in and the next in line is a full press render of the flagship dropped by renowned leakster, Evan Blass. The leakster has shared a wholesome glimpse of what the Galaxy Note 9 could look like. Thanks to the press render scored by Blass, we have a fair idea of what this device could look like. In terms of design, the Galaxy Note 9 does not differ much from its predecessor, aside from a few changes on the back. The front carries the same immersive “Infinity Display” which is characteristic of Samsung’s flagships. There is no observable notch, which means that if this render is accurate, Samsung is not ready to give up on the distinctive appearance of its smartphones, leave alone give into the notch trend started by its biggest competitor, Apple. The back, on the other hand, has a fresher look. The dual camera module now appears to be blended well into the panel. Samsung seems to have learned from its mistake and just like the Galaxy S9, the fingerprint scanner now sits at a much more convenient position. Instead of placing the fingerprint sensor next to the camera setup, Samsung has placed it underneath the dual cameras. Alongside the cameras are an LED flash and a heart-rate sensor. The render also highlights a dandily colored S Pen which also appeared in the launch teaser shared by Samsung. As for the credibility of the leak, it looks promising but the poor resolution leaves room for some skepticism. As we near the launch on August 9, we hope to witness more elaborate leaks, so stay tuned for more information about the Samsung Galaxy Note 9.